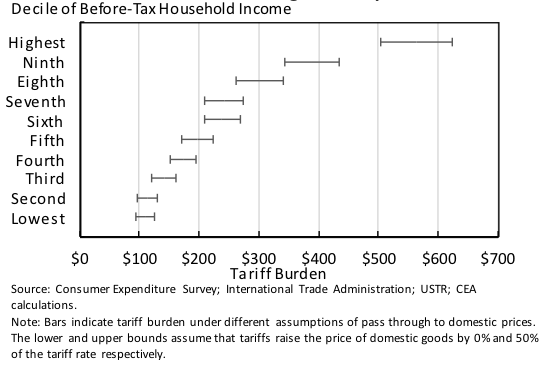 Gresser, E (2002), "Toughest on the Poor: America's Flawed Tariff System." Foreign Affairs  81: 9. 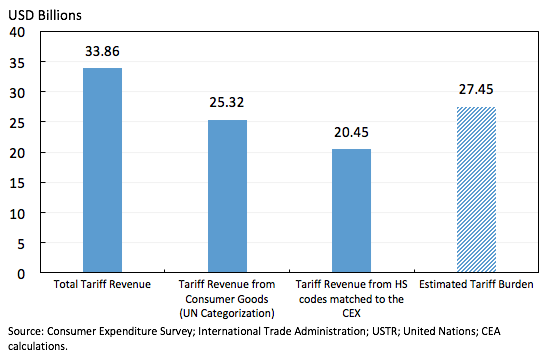 Moran, T (2014), “Tariffs Hit Poor Americans Hardest .” Peterson Institute for International Economics Real Time Economics Watch. (31 July). 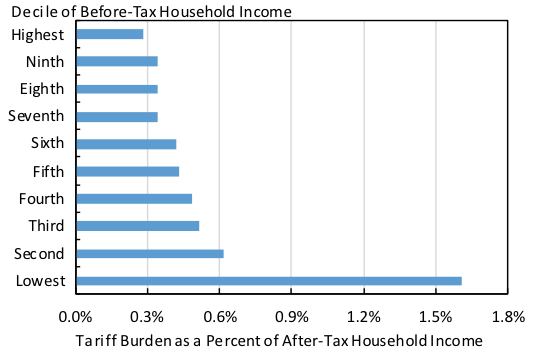 Rosenberg, J (2015), "The Distributional Burden of Federal Excise Taxes ." 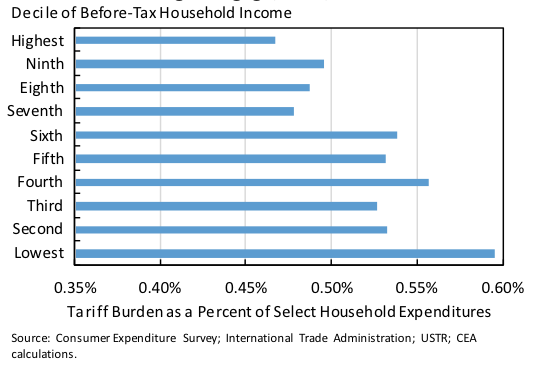 Urban Institute and Brookings Institution Tax Policy Center.